As many of you know I’m an Irish blogger living and working in Northern Ireland with frequent trips abroad to quell my addiction to travelling. I’m very, very proud to call myself Irish and always have and always will identify as Irish no matter where I go or where I live. (I won’t get into Irish politics here, that’s for another time and another place). To me Irish doesn’t mean being a Nationalist or waving the Irish Tricolour about. Though to some people that’s what defines ‘Irishness’ for them and that’s fine as everyone is entitled to interpret how they feel about their nationality however they feel. Similarly, an Irish Muslim or an Irish person of African or Asian descent might align themselves both with their religion, their ancestor’s homeland and their new home of Ireland where they were born. As someone who ‘grew up’ in southern Ireland in the sense of visiting Dublin regularly and taking long holidays across the island of Ireland it’s great to see a more diverse and inclusive Ireland starting to emerge from the old ‘backward’ image that Ireland once had. To me I’ve always felt at home in Dublin, Cork, Mayo, Galway etc. than I ever have in the north of Ireland. To me being Irish means celebrating how friendly we are as a race of people, how beautiful our country is, our long cultural heritage and in my opinion the country that has the best home-grown food in the world. 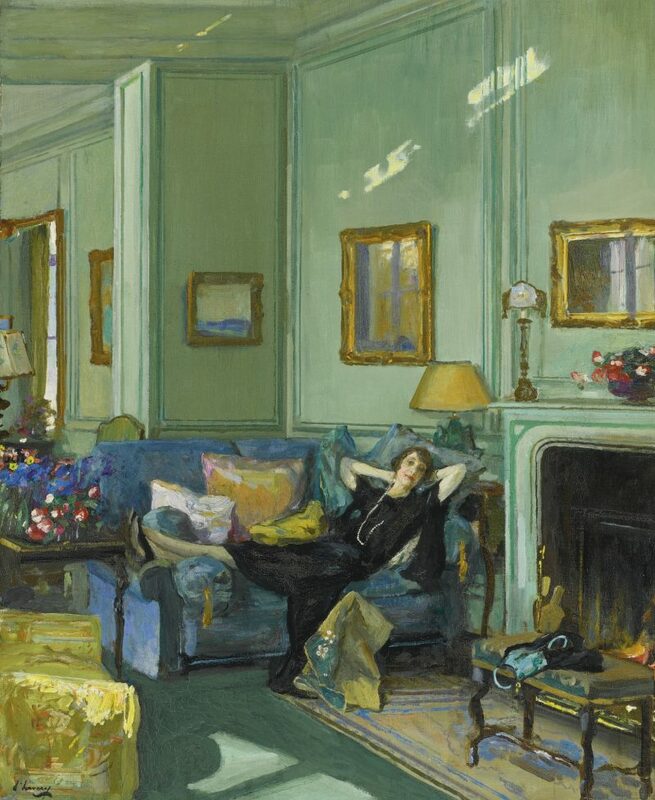 Mrs Osler at Cannes, Sir John Lavery, 1929. As someone who works in museums and culture I’m particularly proud of Ireland’s long held reputation as a centre of literary and artistic excellence. 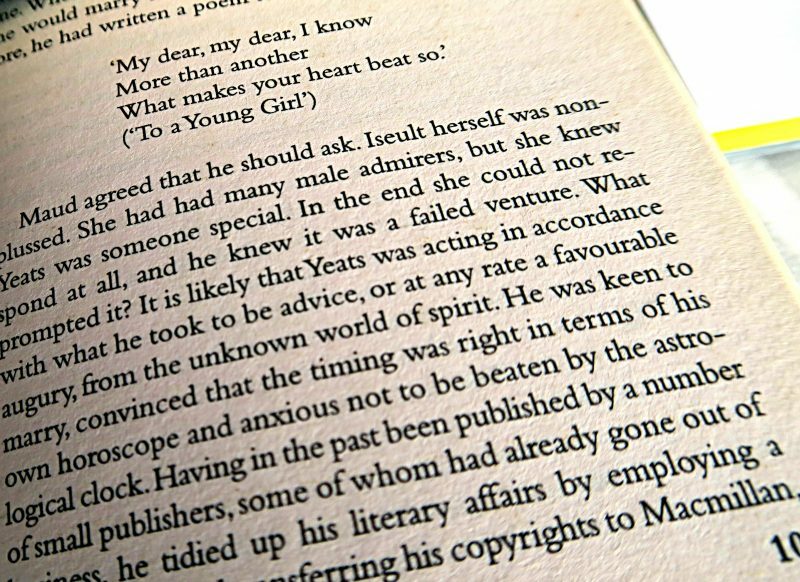 Authors like James Joyce, W.B. 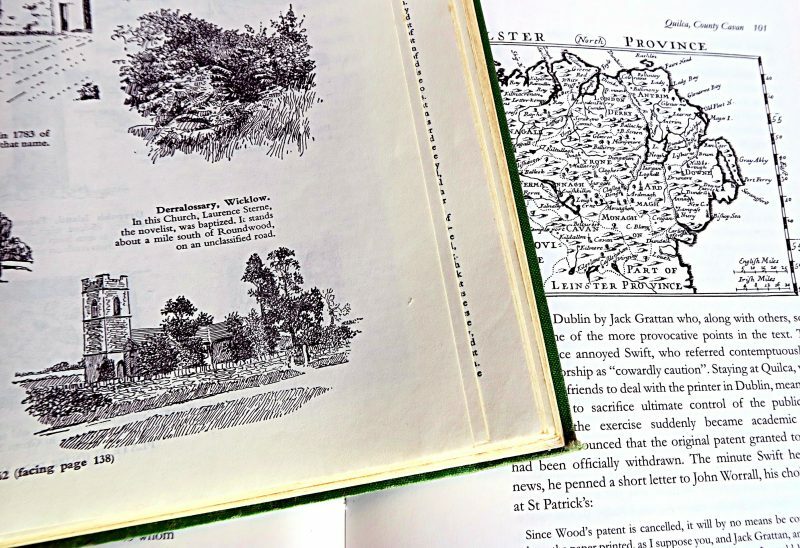 Yeats (I’m very lucky to own first editions of Yeats work), dramatists like Lady Gregory and painters such as my favourite Irish painter, Sir John Lavery and the Dun Emer Guild of female Irish embroiderers at the turn of the last century. 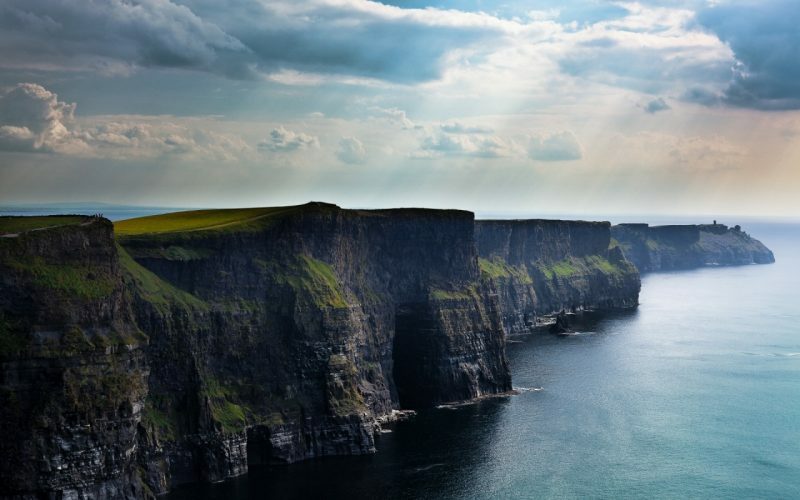 To say that the Irish have made a mark on the world’s cultural and artistic scene is an understatement as many modern works of art, literature, theatre and even film take influence to the great Irish artists and writers who have come before them. To be Irish for me means when people ask you where you are from they instantly will like you because you are Irish. As the Irish have a great reputation of being kind, courteous, friendly to an fault and helpful to people who visit Ireland and when they travel abroad. 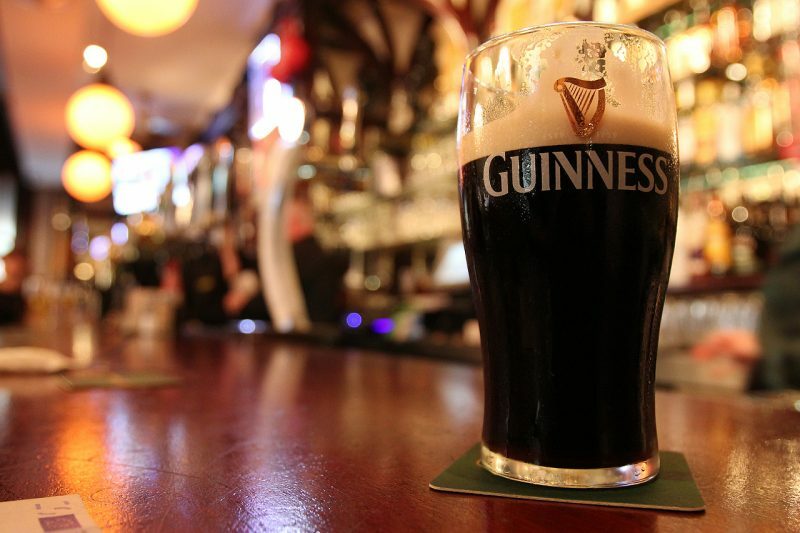 You don’t see Irish soccer hooligans attending matches across Europe as all Irish people want to do is have a couple of pints of the ‘auld black stuff’ aka Guinness and have a bit of ‘Craic’ as in banter. Being Irish means that you are sure of a warm welcome when you are Irish and travel around Ireland. There has been countless pubs that I have went into as I’m partial to a pint of Porter* myself and people just talk to you as if you were old friends. I travel around Ireland by myself sometimes, especially to Dublin, and when I’m in bars there is no stigma of being a lone female in an Irish bar. In fact being someone who regularly goes into bar’s to have a drink by myself has afforded me the great pleasure of talking to really interesting people as people tend to invite me to drink with them and have a bit of craic. When I travel and feel a bit homesick I sometimes try to find an Irish bar in a foreign city that is sure to have at least one or two Irish people in there. There is nothing like curing homesickness (though this is something I rarely get as I love to travel) as to be amongst your own people and kindred spirits. You don’t see bars of other nationalities throughout the world, but you do see Irish bars in Moscow, Cuzco and Johannesburg! One other great thing about being Irish is that people are automatically nice to you, especially in America with it’s high amount of people of Irish descent. 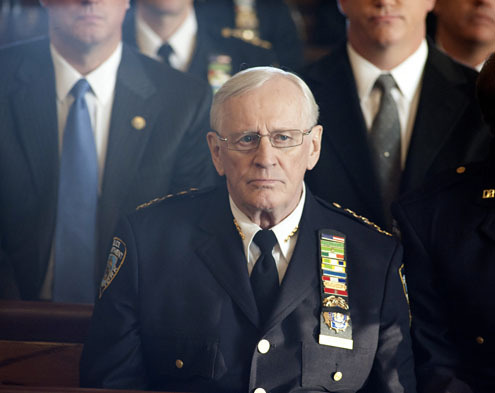 Talking of Americans of Irish descent my boyfriend and I are steadily making are way through every season of Blue Bloods which is about an American family of Irish descent which is set in New York and they’re all some how or other involved with the police or the law. My favorite character hands down is Henry Reagan who is played by Len Cariou and is absolutely adorable in his navy sports jackets, checkered shirts and chinos! Not to digress from the topic of this blog post but I thought it is important to mention Blue Bloods you should check out the program to! Now on with our regularly scheduled programming about what being Irish means to me. As I’ve outlined above being Irish is more than about a flag or country it’s about being friendly, open and responsive to all people from all walks of life. We are known as one of the friendliest nations and races of people on earth, now who wouldn’t want that attribute? ‘Being Irish’ is always changing and what being ‘Irish’ in 2017 will be radically different in 2117 (!) as people’s live change dramatically over the course of a century or longer. What I hope we Irish do not loose is our international reputation for being friendly and open, providing the world with some of the best known works in literature and having some of the best food in the world! And who knows by 2117 Ireland might even be one country, which would be very interesting indeed! Don’t forget to enjoy my video below including some mouth-watering photos of Irish food, drink and some beautiful photo’s of Irish landscapes. I’m off to make my lunch as looking at these photographs just makes me hungry! Photos from Sothebys, Wikipedia, CityGuideIreland, Wallapapers.com (c) Rachel Sayers 2013-2017. Previous Post Game of Thrones Territory – the North Coast of Ireland Part One.